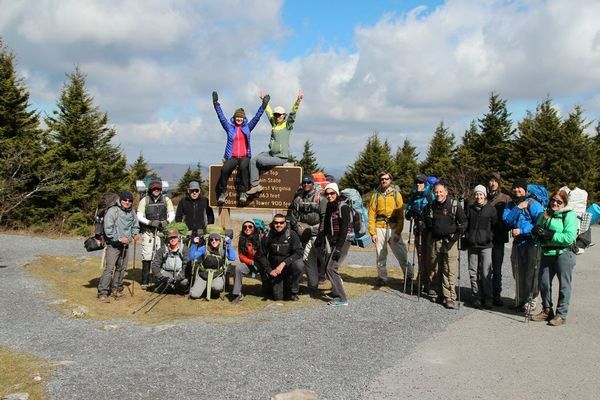 What 43rd Annual Spruce Knob-Seneca Creek Backcountry with lots of Waterfalls! Ok, here is a another one of my 39th and holding trips! 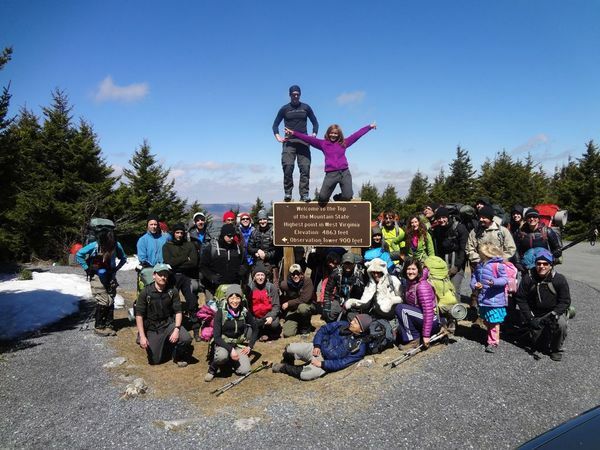 We will start at the highest point in West Virginia, Spruce Knob at 4,863' and walk along the ridge for a few miles enjoying the stellar views, then gradually drop down the mountain into the most remote part of the Seneca Creek Backcountry and camp at Upper Seneca Creek Falls. We will then walk back up the Valley enjoying lots of waterfalls and the most scenic mountain stream and area around! 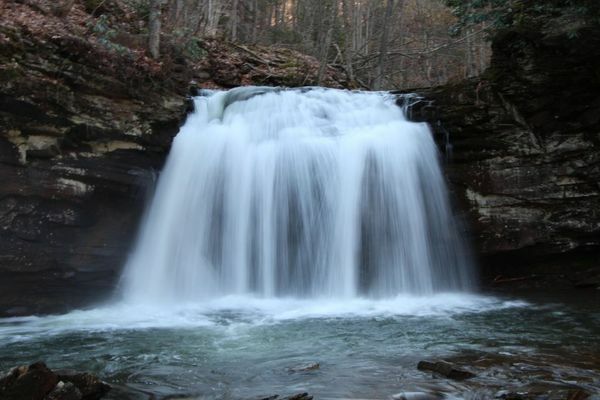 You will get to enjoy the best of the "High Country" as well as the most scenic stream around with lots of waterfalls! Please contact me before we go on this trip if you are new to the group so we can get everything planned and organized from food to transportation to any equipment concerns! I have been doing this trip since....oh more years than I care to count and it is one of the best you can do....those of you who have been on my trips know I do not exaggerate....just deliver! :-) This is a moderately strenuous trip as most of the walking is down the mountain, so this is also a good first trip for people if they are in good shape. We will drive up on Friday night and car camp at a secret spot so we can get a decent start on Saturday morning. 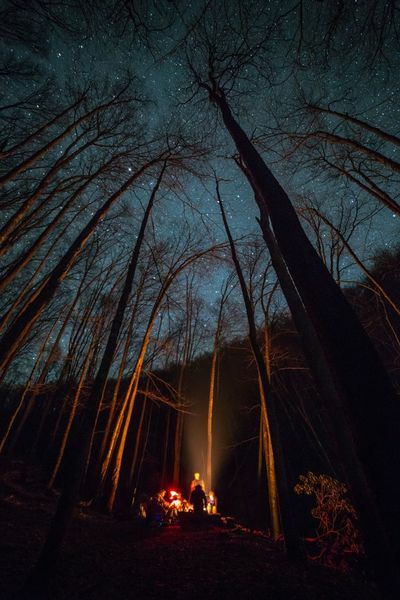 Since so many people signed up, I will split us up into a couple smaller groups, with one going to the Falls and the other going to another beautiful camping spot or 2. I will need everyone's cooperation to make this work, so please answer the questions or it shows lack of cooperation and you will be off the trip. I will change the trip so 2/3 of the people will do 5 miles on Saturday and 3 miles on Sunday, so a perfect backpacking 101 trip. The rest of the people will do the regular 9-10 on Saturday and 5 on Sunday, so something for everyone on this trip! There are wonderful pictures here of Upper Seneca Creek Falls and a few of the high meadows on Spruce Mountain. However note we are not going in on Lumberjack Trail, but on Huckleberry Trail, which leaves from the top of the mountain, and is MUCH more scenic and impressive and no horses allowed as on Lumberjack Trail. You will walk out and down Spruce Mountain 9.2 miles to Upper Seneca Creek Falls for a total elevation change (descent) of about 1800', nearly all down hill, then back up Seneca Creek Valley 5.0 miles for about 500' elevation gain on Sunday morning, to the trail head on Forest Service Road 112, by about 1:00 PM. Total Mileage is 14.2 miles including a couple more miles compared to our trip last year for another detour along another great area I know and there you have it. The trail is rocky in spots so this is a moderately strenuous trip, but doable for newbies IF YOU ARE IN GOOD SHAPE! However please note, walking down a mountain is not as easy on you as inexperienced hikers/backpackers believe, so just keep this in mind. Also you will be in some of the highest and wildest country in the Eastern US, so will be exposed to the elements, so please come prepared for rain and wind. If you are not prepared, then do not come as the weather up there is totally unpredictable. That being said, you will find this trip one of the best and memorable you will do! The views from Spruce Mountain are as fine as there are around and Seneca Creek is a jewel of a stream from all the Waterfalls to the Old RR ties along the stream bed from 100 years ago....this is true Wilderness! I am going to increase the number of people we are taking on this trip as it is so popular and wish for people to be able to experience such a wonderful area and trip. Again, as usual if you have not backpacked with me before, you must contact me beforehand or you will not be allowed to go as preparation and teamwork is key to organizing a trip of this magnitude and making it great for everyone....one unprepared person can ruin a trip and I like to have everyone come away "WOWED" with the experience....that's why I do these trips!!! I will help anyone who needs it to be properly prepared as hypothermia is always a danger anytime of the year if you get wet or are not physically in shape to backpack, but you must communicate and work with me beforehand, so let's get this trip going! I will send out information the week before the trip. Again, if you have not backpacked with me before please email me to let me know if you are prepared, thanks and see everyone out on the trail! Please secure your ride by posting your comments and coordinate among yourselves. Making friends & sharing cost. *Carpool ride is NOT a free ride: Please pay your driver(s) min $20/pp. *If you can offer a ride: From where and how many you can take. *If you need a ride: From where or carpool location.